ATTENTION FELLOW BOOZIE BOOK LOVERS!!! Will Read for Booze has decided to pull together a 24-hour BoozieBookathon. We’re a bunch of drunks (obviously) and we love reading (double-obviously) so we’ve decided to combine the two into a marathon! Here’s the deal – on July 22nd-23rd from 8am-8am EST we’re going to be reading, and drinking, and posting, and tweeting. And its gonna be awesome. 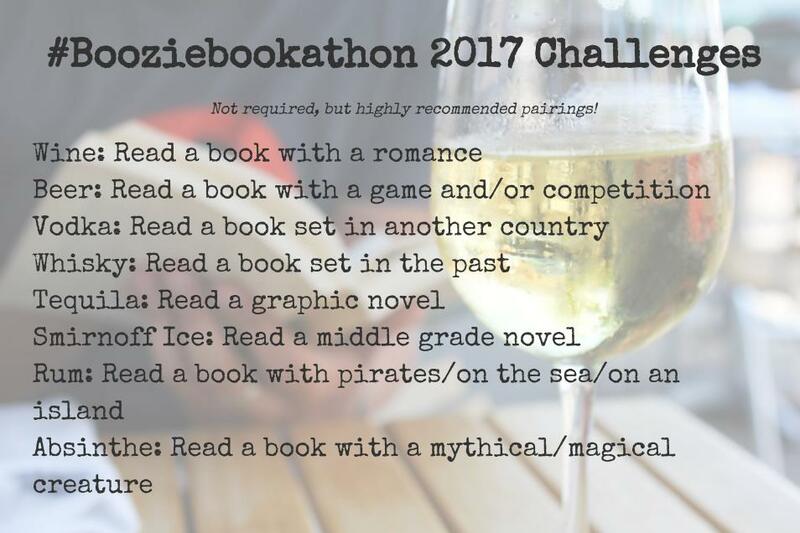 If you’re interested in joining us, please sign up HERE and use #booziebookathon on Twitter! We’ll be following all day, hosting power hours (AKA reading sprints), and chatting all day. We’ve come up with a couple challenges. You CAN double up on challenges, this is meant to be fun, not get the highest number of books. Also note that you don’t have to actually drink while your reading, nor do you have to actually drink the substance your challenge is for. We are so excited to do this you guys and hope that you can join us in our boozie book adventure! We’ll be doing TBR posts soon! Let us know down below what YOU will be reading.